For any quick beauty needs, Starr Beauty is a great place to start in the search for the perfect lipstick, nail polish and so much more. Founded in 2012, Starr has a range of products from Morphe to NYX cosmetics, getting the most for your buck. 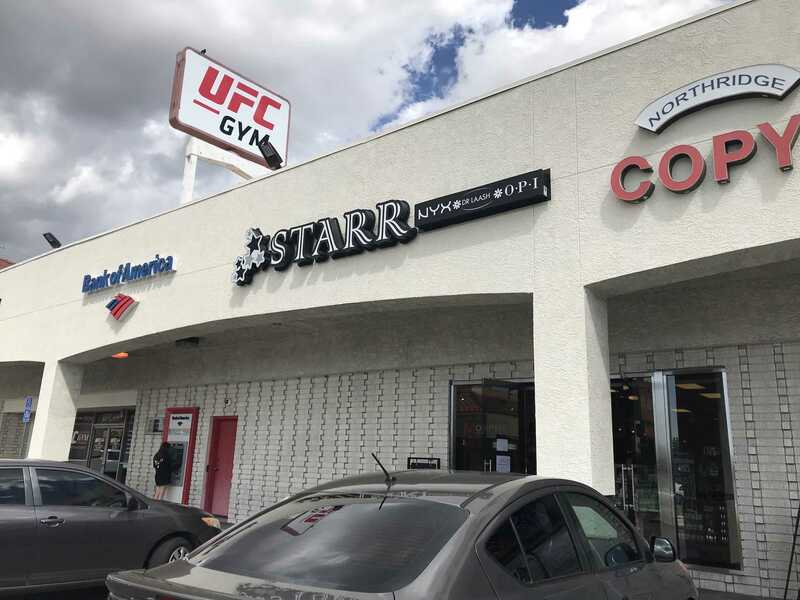 It is located in Reseda, next to the 24-hour Subway, very convenient for anyone to just walk right over and get what they need. Maria Alvarado, fourth year Public Health major and a previous employee of Starr Beauty, says that because of the limited makeup brands, those brands lacked in foundation colors and so did the store. Fenty Beauty, a cosmetic line by Rihanna, has been getting rave reviews on having a wide range of shades for all types of skin color. Starr having only a few makeup brands in her store limits the range of shades overall. When Alvarado started working at Starr beauty, there were only three different foundation types and all three lines lacked color variety. Vanessa Perez, a third-year Psychology major, says that Starr is very limited in ranges of colors, but so are the makeup brands. Perez said that she shops at Starr once in a while, but it is not her go to store. Alvarado, while working at Starr Beauty, would get comments on the lack of color and how that affected business in a negative way. Sophia Buitron said that there should be more diversity in the makeup industry because one shouldn’t feel left out for having options. Buitron, a Criminology fifth year, says she shops at Starr Beauty and is able to find her foundation color. Starr Beauty expands as the brands they carry expand so there is a chance for a variety of shades to be available at Starr in the future.